Simplify your bookkeeping & save time. 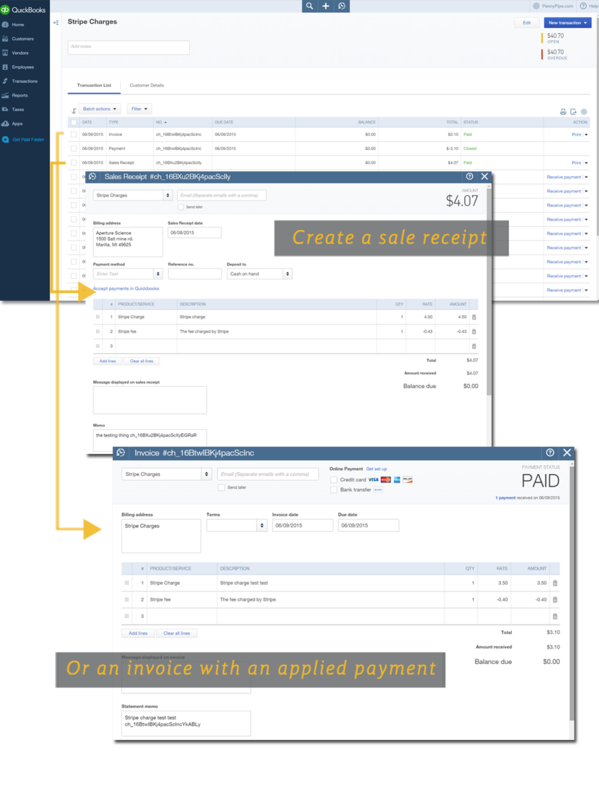 We pipe your online payment data to your accounting software. Setting up transfers is easy. 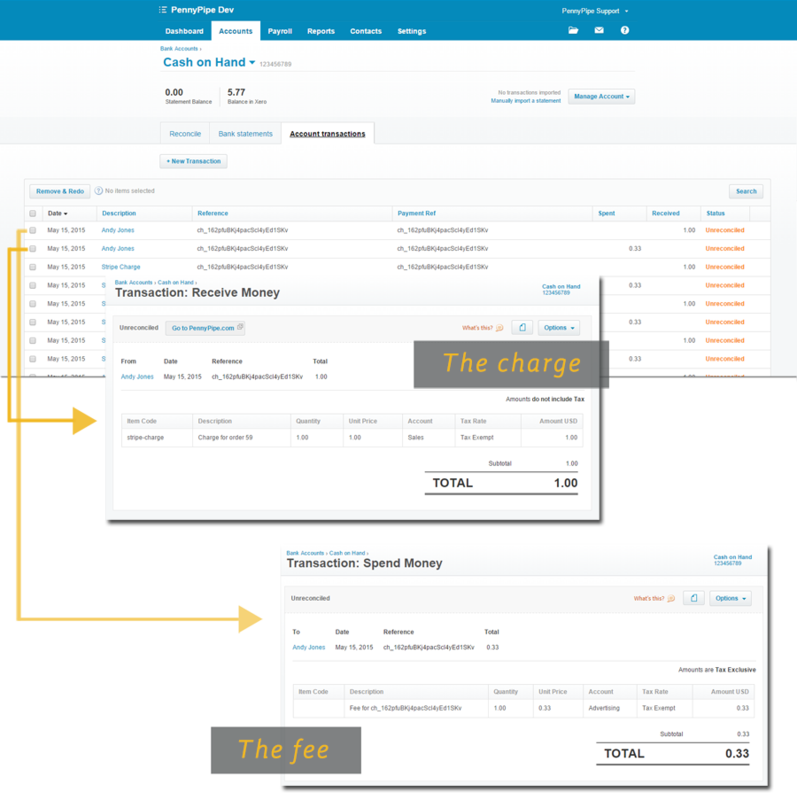 Transfer charges, refunds, and fees into your accounting software. See your transactions in real-time. We provide an update every 5 minutes. View weekly reports to see what type of data was moved and when. to QuickBooks Online, Xero, Freshbooks, Infusionsoft, and FreeAgent. Try PennyPipe for free for 14 days - no credit card required. Easy pricing starts at $9 per month, and scales as you do. We transfer amounts right to the penny, or you're guaranteed a refund. "As a subscription business, every day we need to ensure any sales from our online systems are automatically transferred to our accounting systems. No other system was able to connect our Stripe payment processes to our Xero accounting system as quickly and effortlessly as PennyPipe. When we had questions their support team was quick and responsive, all in all a great experience." "What will it look like in my accounting software?" Have more time for the work you love.